There has never been a shortage of retail shoe stores and shoe repair services downtown. was operated many years by John Shoemaker and his son, Marvin. This location on the north side of Main was also Groendyks Shoes at one time. On the south side of Main Street in the center of town is a lovely vintage building where at the entrance the original tile spells "Nies". Throughout the years. Bouwens and Lokers shoe stores where also located there. 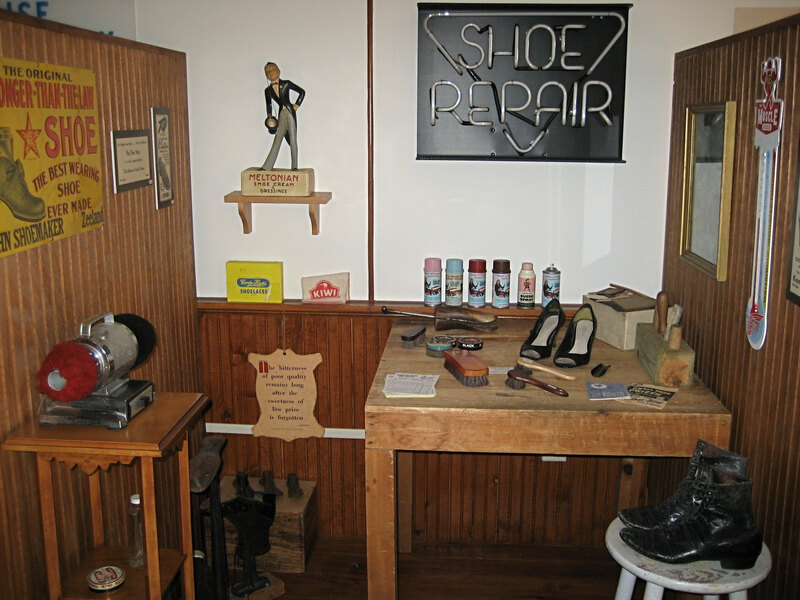 A Mr. Essenburg had an established shoe repair which was purchased by Jay Scholten in 1969. Soon Scholten added saddle repair and later retail shoe sales. He remains in business today. Kuyers and Wink's Shoes both rented in the DeKruif building on Main near Church Street at separate times. Also, John Ozinga operated a shoe repair up until the 1960s.